Every day, the English language reaffirms its position of paramount importance in the world, in all areas of human activity. In Law it is no different. International contracts in English need to be read and well understood to be negotiated successfully. 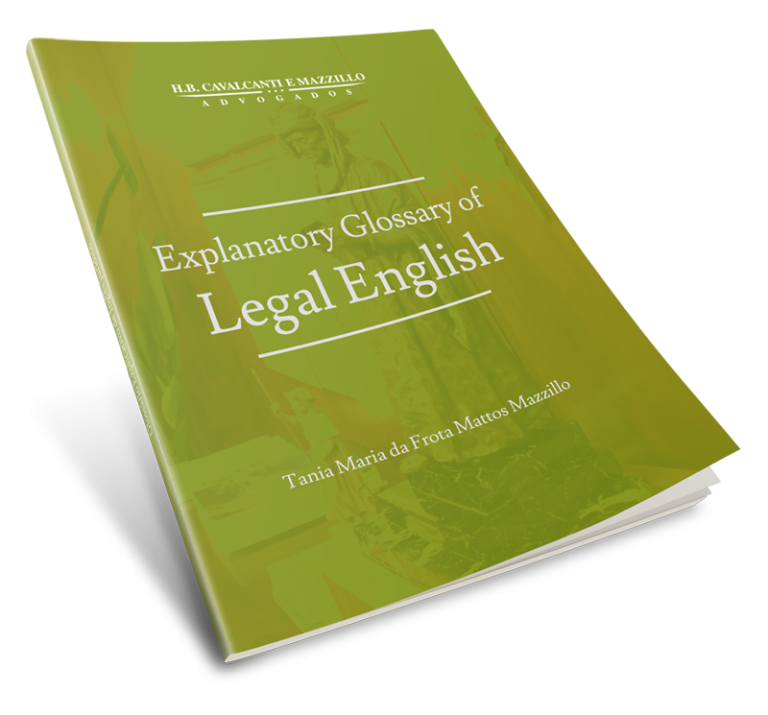 To help in this task, we have developed the Explanatory Glossary of Legal English, with examples on the use of legal terms in English. The author, Tania Maria da Frota Mattos Mazzillo holds a PhD in Applied Linguistics, from the Pontifical Catholic University of São Paulo. She works as a legal specialist in business law, at law firms and universities. She is also an English language translator and proofreader of legal texts, correspondence and contracts. Letters, e-mails, and other documents in English are part of the lawyer’s routine. Competent legal professionals facing this reality understand and appropriate the correct legal terms in English, putting them into practice in their working life – this is an essential condition for the success of any business and for the protection of clients’ rights. The glossary can be obtained upon request by completing the information windows below.